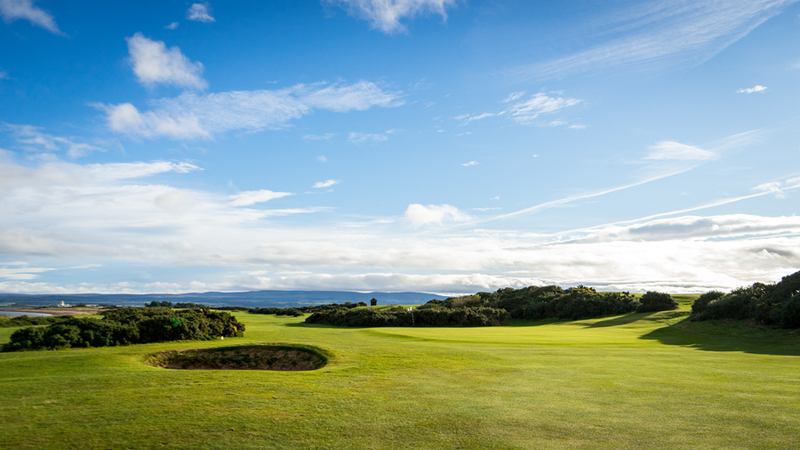 Day six with my round at Royal Dornoch GC and my short walk around Tain GC later in the afternoon was spectacular. But on day seven the level still remained high! I woke up early at my cozy little B&B called “The Granny Flat” at St. Mary’s but was a little bit upset because heavy rain lashed against the window. Well, it wouldn’t be me if I did mind!! So I jumped into the car and headed over to one of the oldest courses I have ever played. 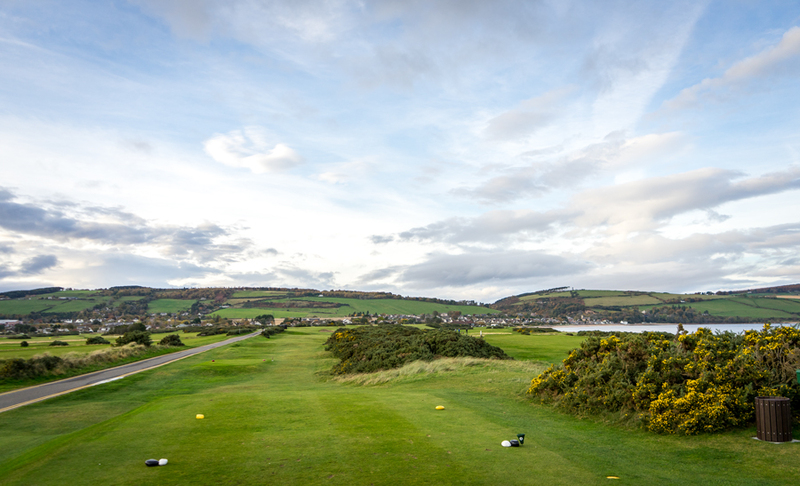 Fortrose and Rosemarkie Golf Club was founded in 1793 and is the 15th oldest recorded club in the world. 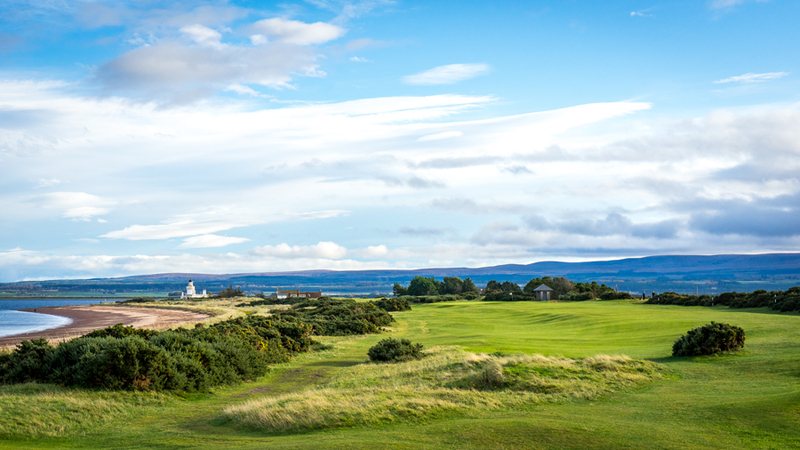 From Inverness it’s just a 20 minutes drive to this nice quirky links course. 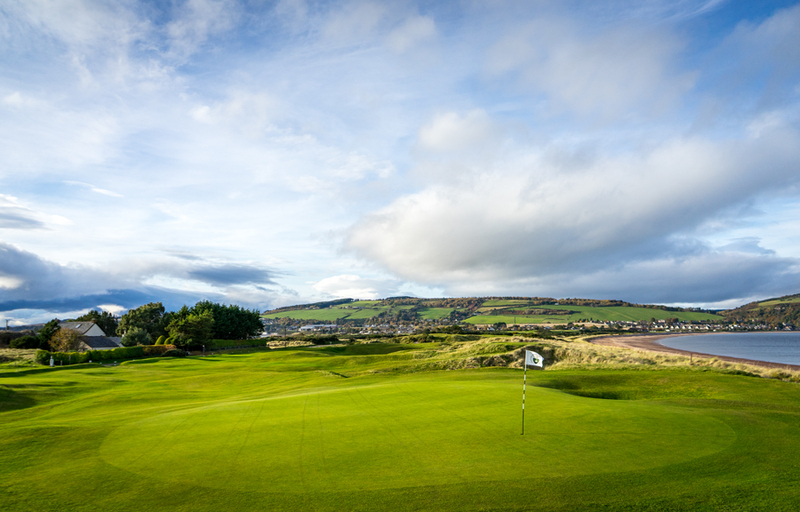 The golf god was on my side because the rain stopped and the sun came out when I arrived at the course. 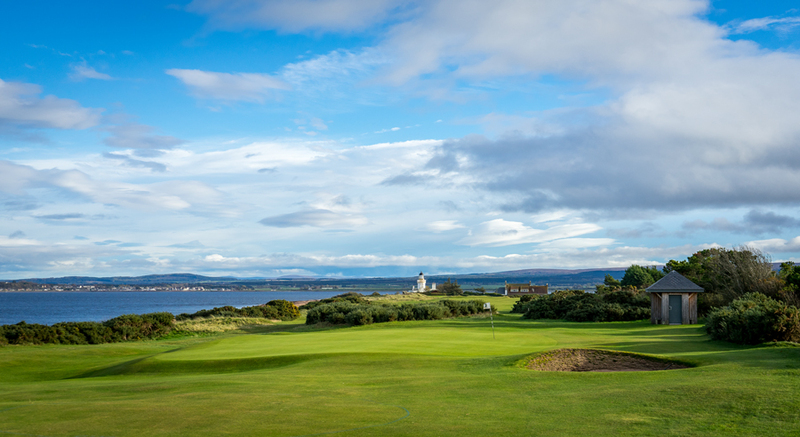 Stunning beside that, is the fact that Fortrose and Rosemarkie is the this years host of the Scottish Boys under-16s Open Championship 2018 which brings together talents from all over Europe. 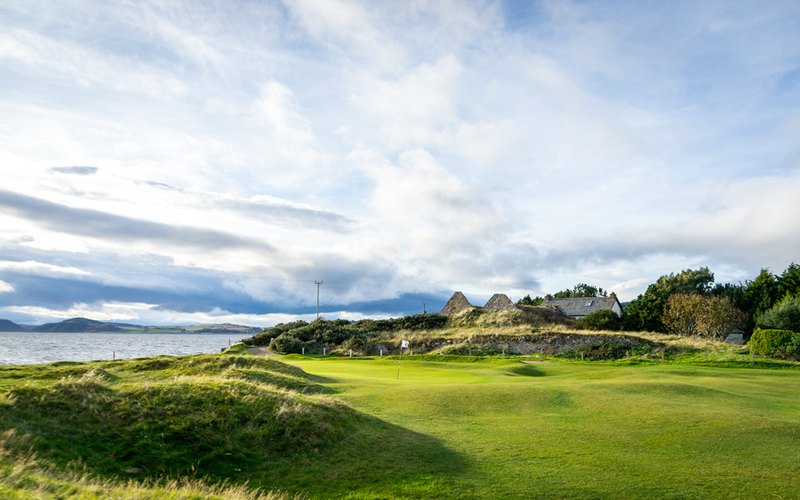 The links is nicely situated on a narrow headland so almost every hole runs along the water. My high expectations have been fulfilled already after the first two holes. 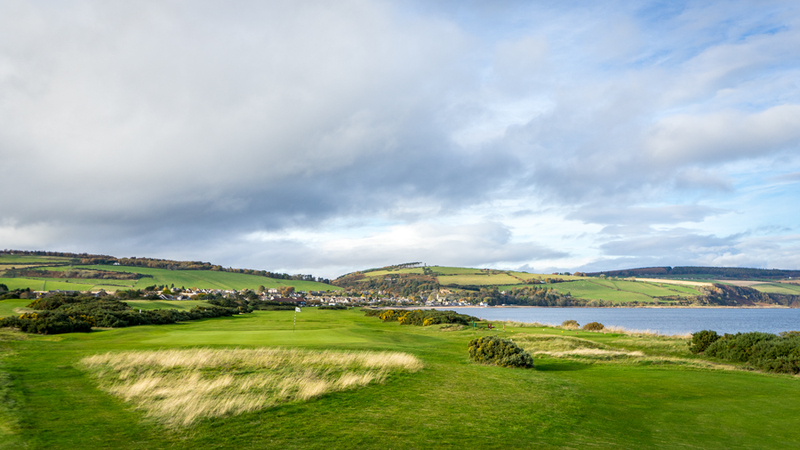 But for me the most significant part of Fortrose and Rosemarkie are No. 4 and No. 5 next to the lighthouse. 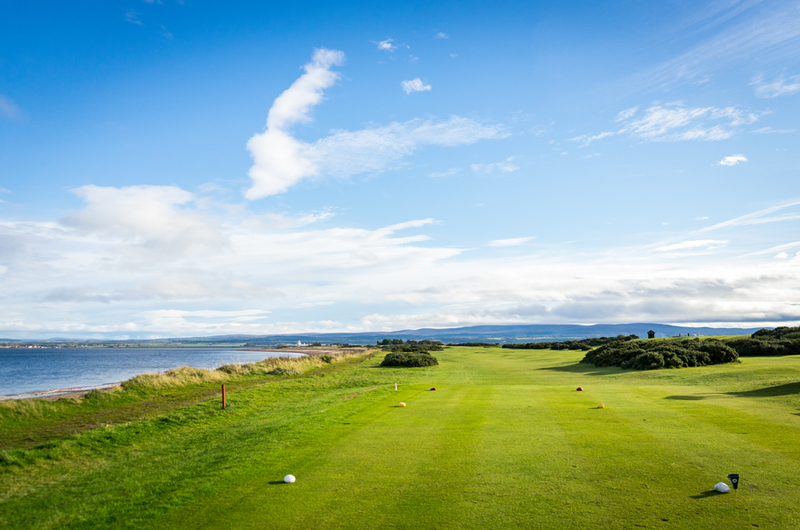 If you’re lucky you can see dolphins dancing around the waves from the tee box of No. 5. 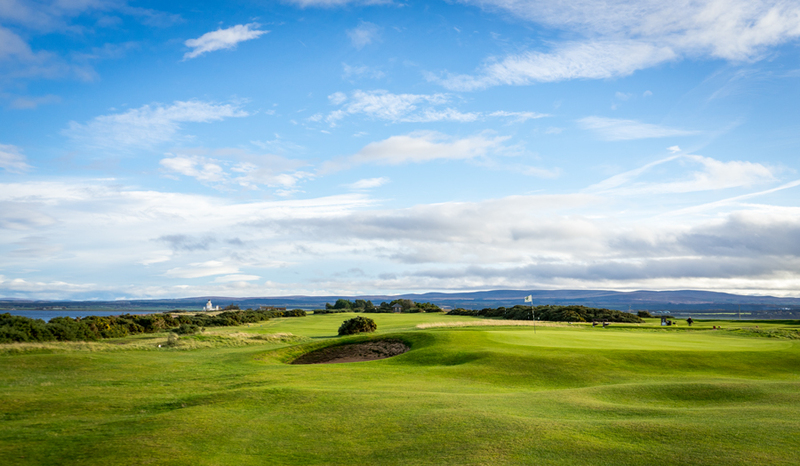 On a perfect day, this short par 3 provides good birdie chances. Not to forget No. 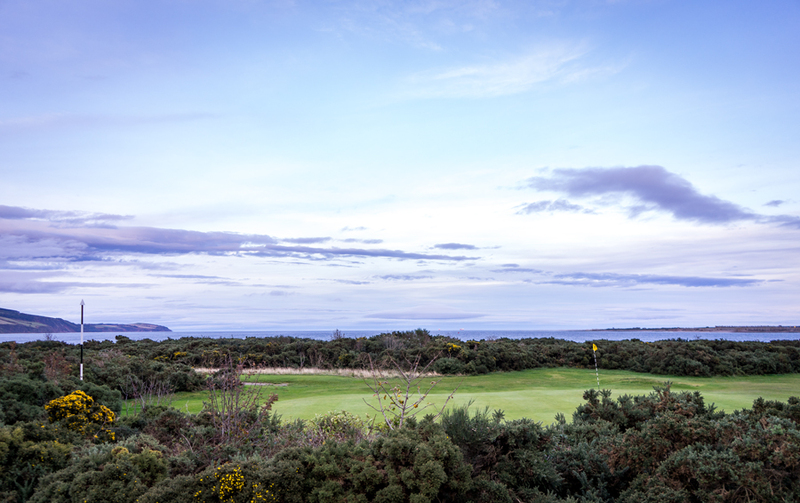 4 a long and spectacular narrow par 5. 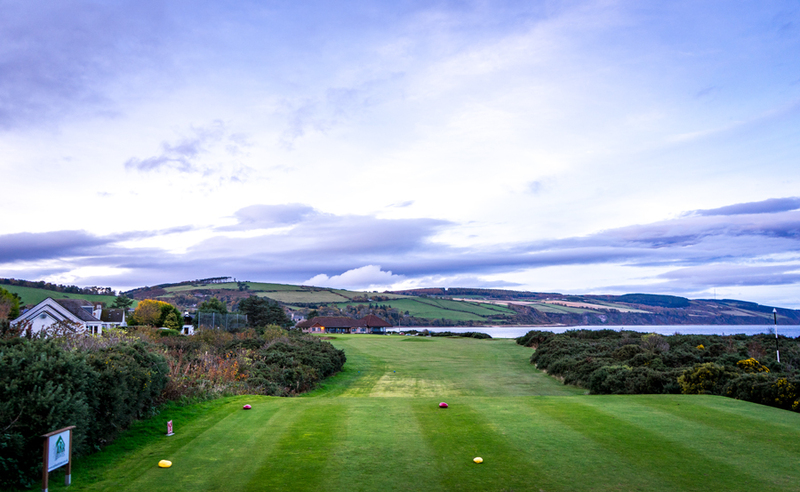 First you have to place your drive on the fairway. If you’re to long you’ll end up in the rough. 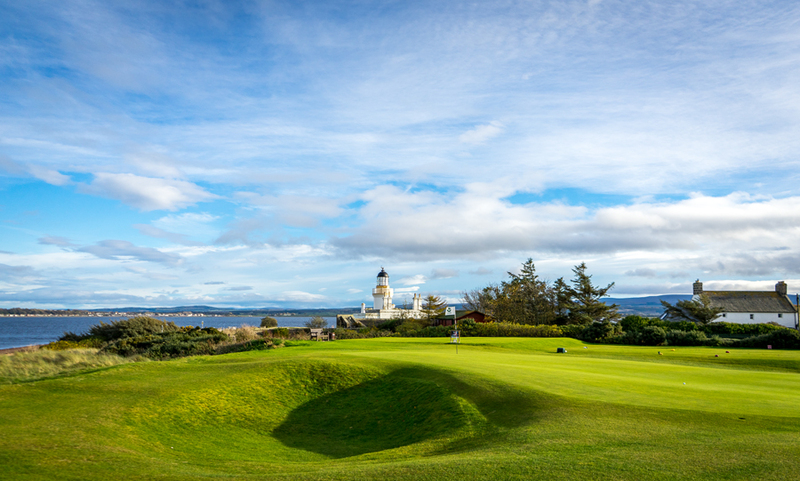 The „lighthouse” requires quite some course management because of the rough edge which cuts the fairway into two pieces. 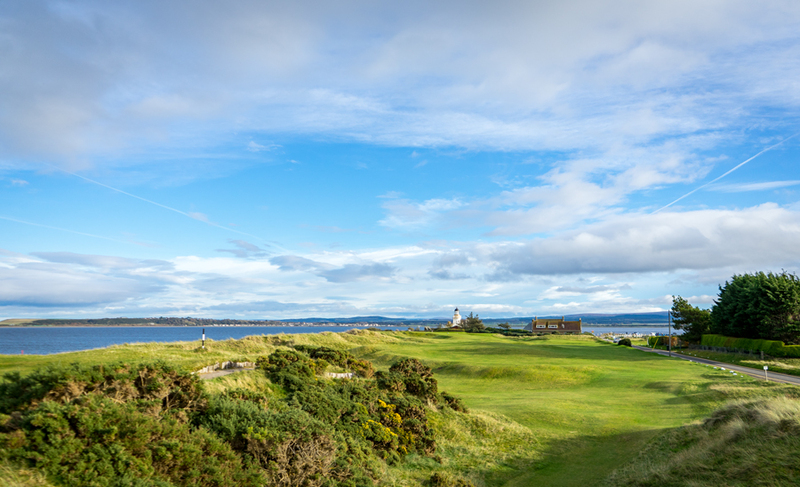 But if you’re successful wit your lay-up shot you will be rewarded with a beautiful approach shot straight in the direction of the lighthouse. 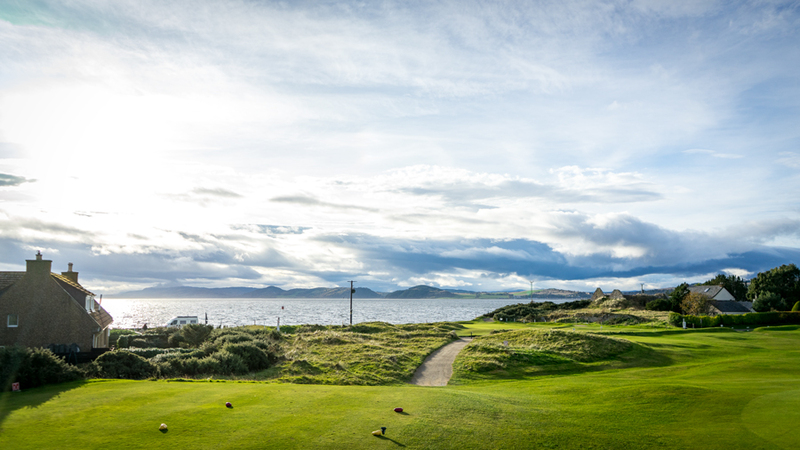 Stay focused, this awesome setting shouldn’t overcome your next shot. 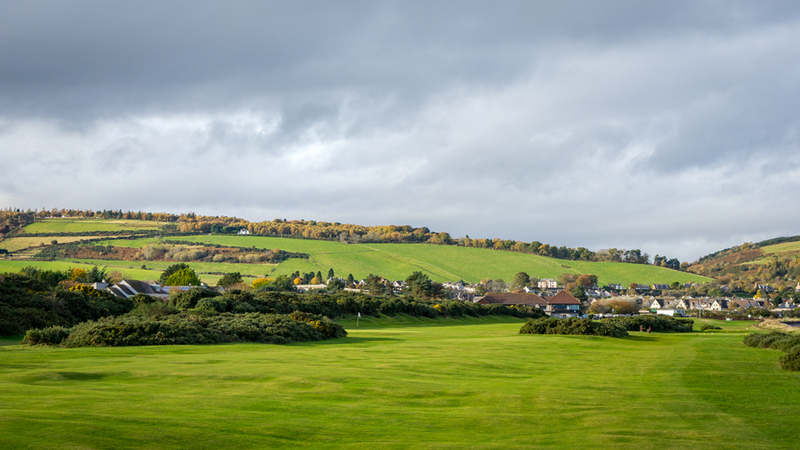 The green is small and narrow and well defended by a green bunker to the left of the green. 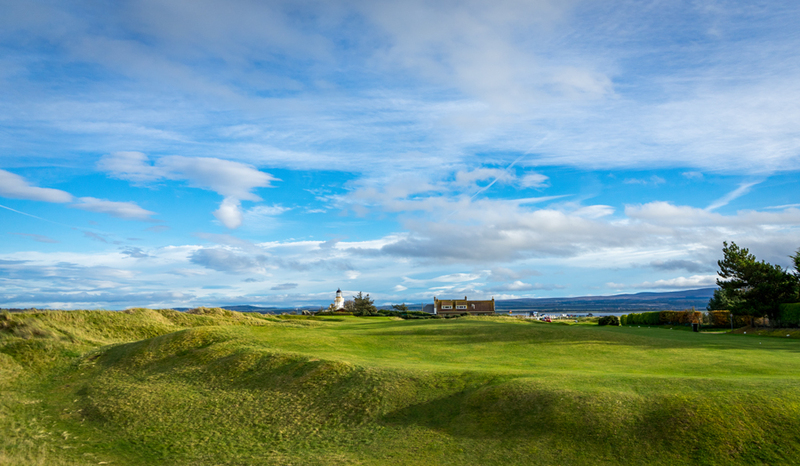 Fortrose and Rosemarkie Golf Club is really a fine world class track and embraces everything a links needs. 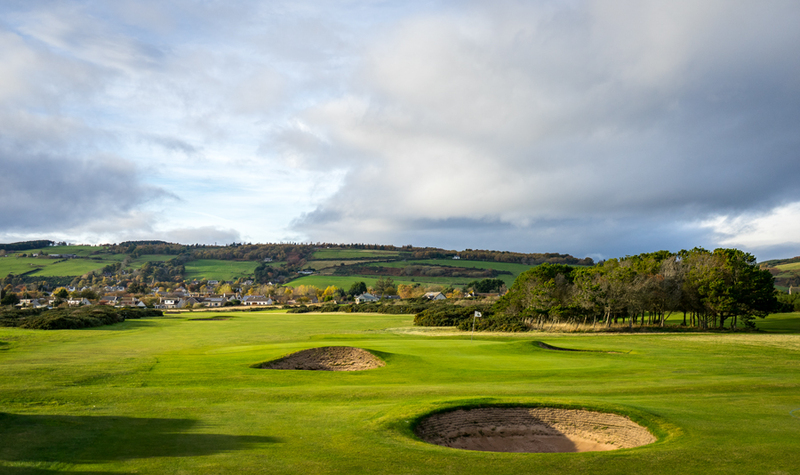 Small and round pot bunkers, wind and the typical bouncy hard turfy fairways. The last really adorable hole is No. 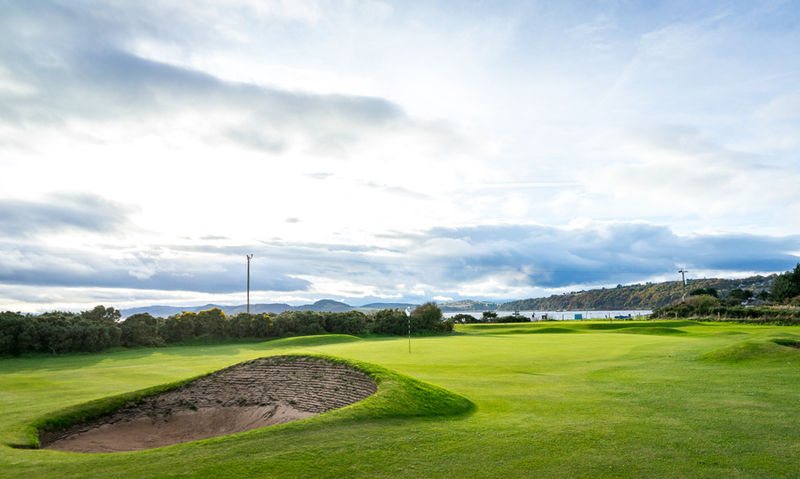 18 called “Fiery Hillock” a long finishing par 3 with 211 yards from the white tees. 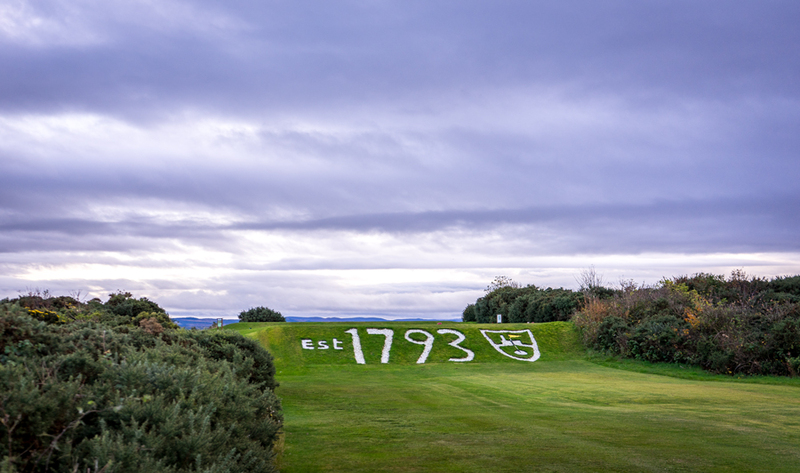 The cool thing is that the tee boxes are decorated with the founding year made out of white stones. 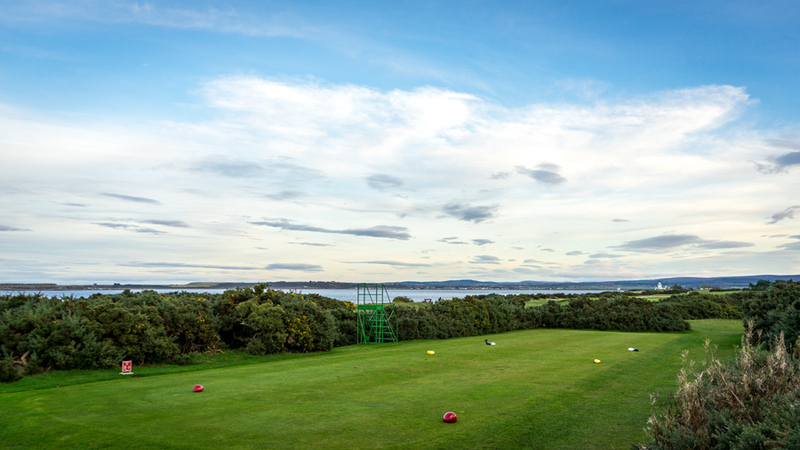 Well, I was to attracted and hit my first ball left into the garden of the house next to the course. Finally I walked off with a double bogey. 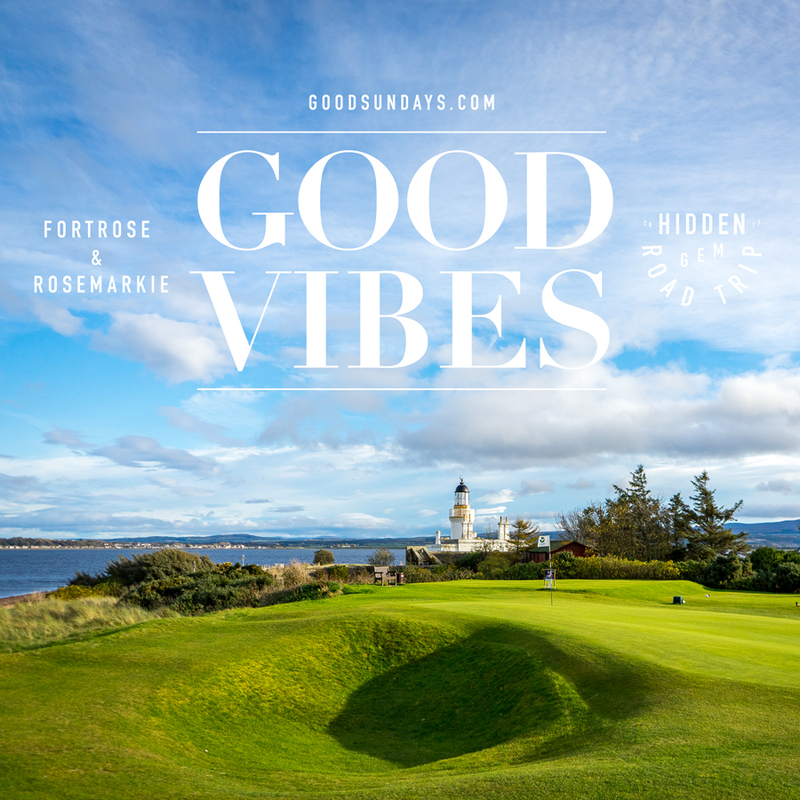 In summary Fortrose and Rosemarkie is one of the must play gems in Scotland’s north and it’s along with other courses such as Royal Dornoch, Castle Stuart Golf Links and Nairn. 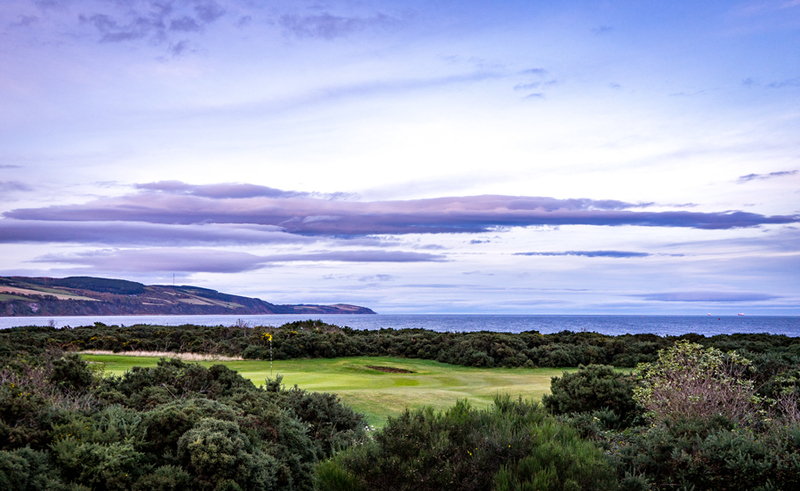 (just to quote a few examples) So don’t miss it on your next Scotland golf trip!